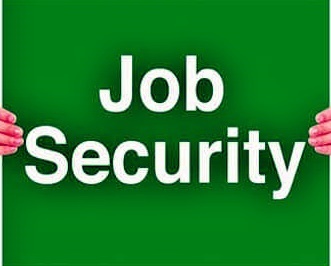 In a tough economic environment, it’s undeniable that one of the hardest things to do is to secure your job. Downsizing is one of the primary reasons any company cuts jobs. It’s important to realise that companies, at any given time need to make strategic decisions concerning the evolution of the business based on many factors. Thus, one should always be prepared for that eventuality. It’s not surprise that the fact that we human beings are alive today, is because of our ability to adapt to different environments and conditions. Business is pretty much the same. One should adapt and use those same survival instincts to survive those harsh economic conditions. Tell yourself, “I’ll make it no matter what”. You are not the only person who is afraid of losing your job. In fact, it is highly likely that your feelings are shared even amongst the top management. You need to act in a way that will inspire your peers and superiors; make them believe that the situation is not desperate and there is always hope. You need to be prepared to go the extra mile, moreover, the extra hundred miles to secure your job. Sit down, take a piece of paper and a pen, and write what you think you’re best qualities are and what areas you lack in. Do not hesitate to ask your peers, the HR officer, or any people who work closely with you to help you pinpoint these areas and help you fix them. If you are one of those employees who are reserved and lack communication skills, well, it’s time to change. Get to know your peers more, if you didn’t adapt to the culture, do it, show more empathy. During tough economic times, employees may suffer from a lack of motivation. While some may see it as a normal process, others may see it as an opportunity to show some leadership and stand out of the crowd. Become a leader amongst your peers, and also your superiors. Sometimes no matter what you do, you cannot delay the unavoidable. Don’t just stay and wait for the sentence. Explore your options, plan where you are going next, if you have any clients discuss the possibility of them leaving with you. Occasionally, Plan B might be the best option.